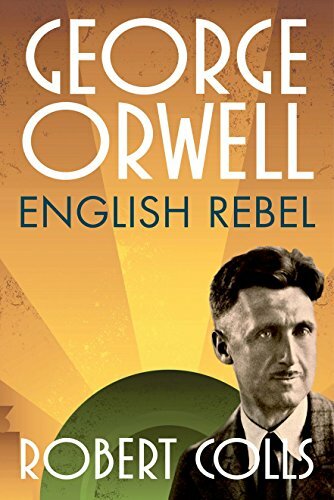 Author Colls introduces Orwell to a new contemporary audience in George Orwell: The Rebel. Not only does Colls explore Orwell’s work including some essays and books that may not be known to many readers. In this meticulously researched analysis with a keen historical awareness, he gives the reader a bird’s eye view of British imperialism and the Depression era that parallels U.S. history during the same period. Orwell was often on the other end of the magnifying glass, an outsider peering into the lives of people who were disenfranchised and worked menial jobs, i.e. the working poor in England. He seemed to derive a vicarious glee at siding with the exploited workers, while at the same time he was clearly not a “Labour Party Intellectual.” As a result of his various journeys communing with the poor for short periods of time, he created some of his most insightful and thought provoking work. In this regard, Colls cites a quote below from Orwell’s The English People (1942) after time spent with the coal miners. Colls explains that “Orwell likens their [coal miners’ and other laborers’] struggle to a plant “by stating, ‘The plant is blind and stupid but it knows enough to keep pushing upward.’” Though a bit shocking in its implications, when the reader understands Orwell’s inner conflicts and quandaries about having attended prep schools and being raised with middle class standards, one can only surmise that his background remained a part of his psyche throughout his life. It is only then that we can truly comprehend the enigma that was the true persona of the multitalented George Orwell. On one of his many sojourns, Orwell met a man named Jack Common who was simpatico with Orwell on many issues. Mr. Common was a writer/editor who spent much of his life doing odd jobs by day in order to pay for his writing endeavor, a man who “was also clever and a socialist at the same time.” In addition he lacked the intellectual snobbery that Orwell abhorred. Colls posits the theory that Jack Common may have served as Orwell’s inspiration for the working class model he used for some of his published work. Orwell’s political beliefs were also not as clear as many readers might think after they have read the first 50 pages of this magnificent book. His thinking often paralleled those who fervently believed in the fundamentals of socialism. But he also believed that the resulting consequences of those beliefs (when put into practice) would ultimately lead to fascism. While fighting alongside Spanish soldiers, he became mesmerized with the country of Spain itself and the political environment in Barcelona, in particular. He viewed this area as a center of “genuine revolutionaries.” It was also in this area that spawned the working class to fight for and the first labor unions and collective bargaining in the country. The title of “Comrade” was quite commonly used in this struggle for equality. While the struggle continued, Orwell began to formulate an opinion that in the end, fascism would replace socialism, which ultimately came to pass not only in Spain but in other countries in Europe. In addition his theories were prophetic to some in that he also predicted that capitalism would at some point evolve into an “acceptable form of socialism” that would get adopted in the region. Colls meticulously reveals to the reader in a scholarly, magnificent, and cohesive manner, presenting a powerful case that is both a “tribute” to Orwell while a demonstrating a high regard for George Orwell, the writer, his political views, and the man himself. Orwell spent much of life ostracized and alone; however, as a result of this adeptly written biography, Orwell will continue to fascinate an entirely new generation of readers. Laura Schultz is a published writer in myriad venues including magazines and online, and her poetry debut Arise and Shine: Laments of the Darkness, Songs of the Light came out in 2011. Additionally she has been a licensed psychotherapist for over 25 years. She also studied both Italian and Spanish at the UCLA and has traveled extensively both in Italy and Mexico. She has long been an avid student of history.